How do you create an effective candid wedding image when nothing candid is really happening? I think the key is to instruct the bride and groom into specific interactions, especially those that will make them smile or laugh. 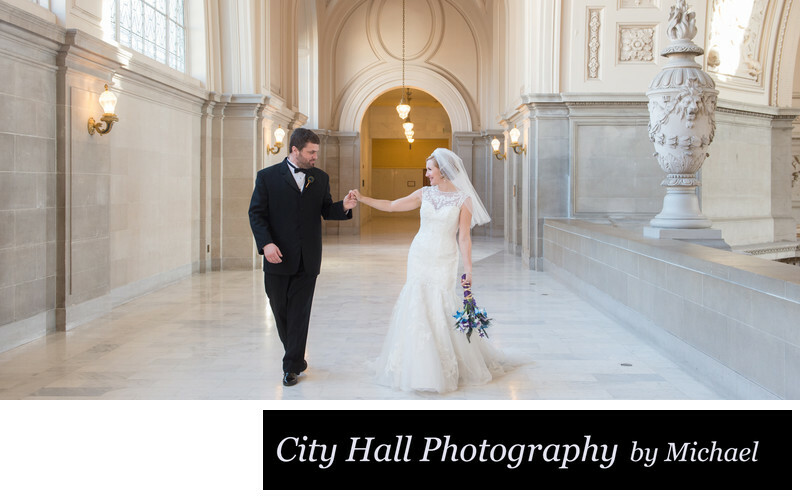 In the photo above, we asked the bride and groom to walk hand-in-hand on the 4th floor at San Francisco city hall and playfully pull on each others arms. Its inevitable that something fun will happen and one of both of them will laugh. It's also a nice break from more specific posing during photo shoot. Candid photography is simply the art of capturing the your subjects in a non-posed moment that hopefully shows some emotion. The list below describes some of the more typical candid photos that occur during a typical wedding.